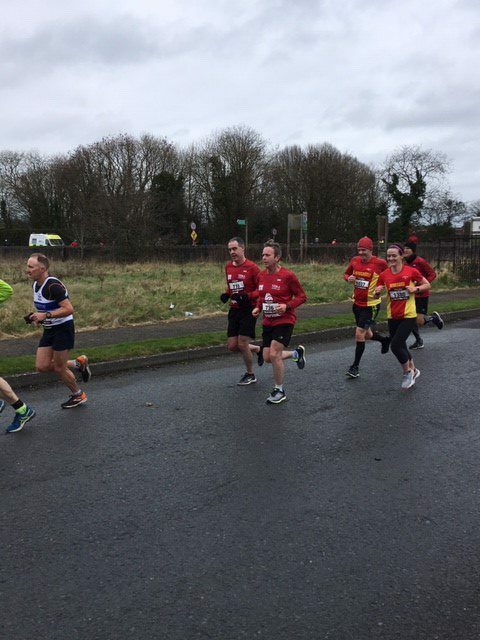 For those preparing for a Spring Marathon, the Trim 10 Mile Road Race is the first opportunity to see how January training has gone and the progress made towards achieving whatever your goal might be. This has been a popular event among the NAC faithful in the past and the bus full of maybes was reasonably full last year. This year, the event proved more popular than ever and sold out in early January. Only three NAC runners managed to beat the sell out date, so instead of a bus full of maybes, there was a car full of definites! The 1339 finishers were led home by Colin Griffin in 53 minutes dead, a modest enough winning time for such a big race and a time that is within the compass of some of the NAC elite men. JP Gartland, looking to replicate his 2:40 marathon performance in Barcelona two years ago ran a very controlled and steady race to finish in 60:36. As planned he ran a more conservative first half, 30:58, before upping the pace in the second half – 29:38 – to finish very strongly, gaining several places in the last two miles. This proved a very useful exercise for the Banbridge man in assessing his potential for Belfast in 13 weeks time. 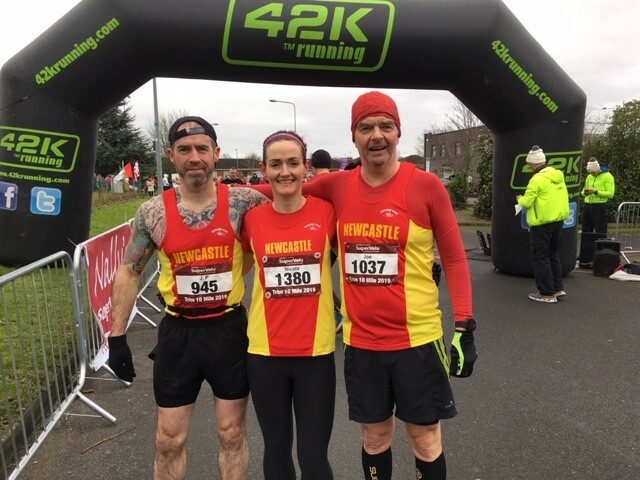 Nicola Mathers and Joe McCann were using the race to assess their progress after a hard block of training throughout January. Aiming to improve on Mathers’ 80 minute run from last year, the pair set out with a very clear objective, run hard but steady for the first 5 before trying to push on in the second half. Like Gartland, they managed an impressive negative split, 38:02 for the first half and 36:15 for the second half to ensure that Mathers improved on her time from last year by 6 minutes; evidence of the benefits that naturally accrue from following a well defined and highly structured training schedule. The time (74:17) was good enough for a finish in the top 25% of the field. 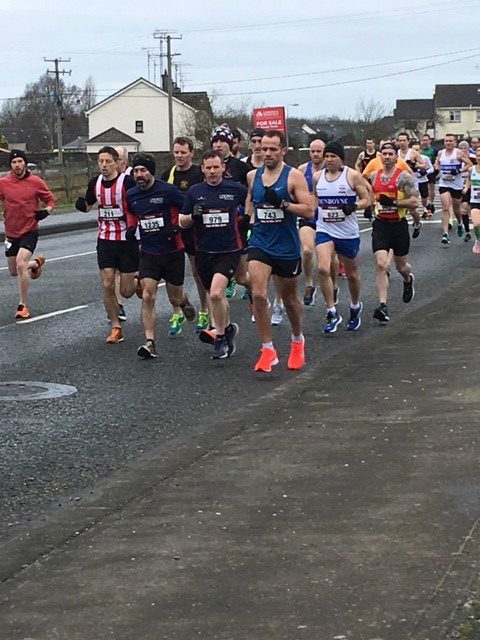 The next trip to Co. Meath for many of the NAC runners will be the annual pilgrimage to Bohermeen on Sunday 10 March, a race that is a traditional component of the marathon training programme of many runners preparing for London, Belfast, Paris or Manchester to name but a few. This entry was posted in Club Notes by Darragh McCrickard. Bookmark the permalink.